ORLANDO, Fla. (Dec. 6, 2018) – FOX Sports Florida, the exclusive television home of the Orlando Magic, will premiere an all-new episode of “Inside the Magic” this coming Friday, Dec. 7, upon conclusion of Orlando’s game against the Indiana Pacers. 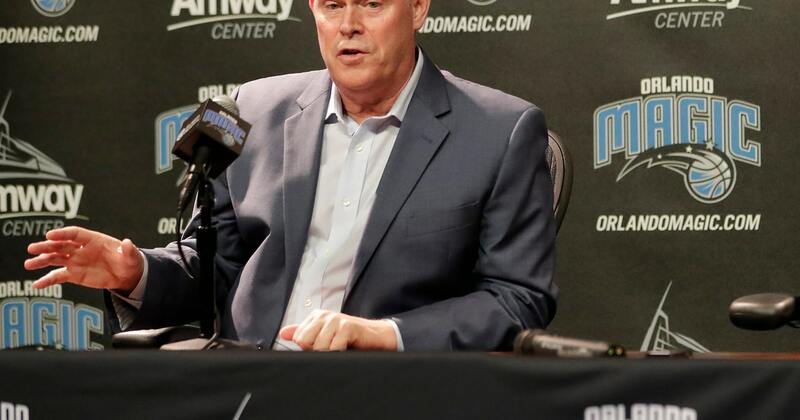 “Inside the Magic: Steve Clifford” retraces the path Orlando’s new head coach took that ultimately brought him to the Magic bench this season. From starting his coaching career at Woodland High School in Maine and spending 15 years at the collegiate level, to getting his break into the NBA with Jeff Van Gundy, Magic fans won’t want to miss this all-access episode. Coach Clifford’s mission to change the Magic culture has been complemented by his hiring of five assistant coaches. We take a look at the men behind the man in Mike Batiste, Tyrone Corbin, Steve Hetzel, Bruce Kreutzer and Pat Delany. The episode paints the perfect picture of what it’s like to be coached by Clifford as FOX Sports Florida interviewed Stan Van Gundy, Kemba Walker, Jameer Nelson, JJ Redick and current Magic players. Join host Mackenzie Thirkill on FOX Sports Florida and the FOX Sports app as we debut “Inside the Magic: Steve Clifford,” and be sure to follow @FOXSportsMagic on Twitter for exclusive Magic content.